Founder Mark Zuckerberg admits Facebook does not have a strong reputation for building privacy protective services. Facebook founder Mark Zuckerberg has announced radical changes to the social media giant’s privacy policies. In a surprise move that Zuckerberg admitted would attract criticism, he revealed Facebook would move towards default auto-encryption for all messaging on its platforms, including Instagram and Messenger. Facebook also owns WhatsApp, which already features end-to-end messaging encryption, and is working on integrating the back-ends of its messaging platforms into one system. However, message encryption limits Facebook’s scope to make money through programmatic advertising as its user data is key to targeting. Facebook would also delete messages, instead of storing them indefinitely, as well as refuse to store data in countries with records of human rights abuses. Zuckerberg said: "I understand that many people don't think Facebook can or would even want to build this kind of privacy-focused platform – because frankly we don't currently have a strong reputation for building privacy protective services, and we've historically focused on tools for more open sharing. "But we've repeatedly shown that we can evolve to build the services that people really want, including in private messaging and stories." The changes would take place over the next few years, Zuckerberg added, without giving a definite timeline. The social media giant has been dogged by a wave of privacy scandals and the move comes almost a year after whistleblower Christopher Wylie revealed a massive data breach in which 50 million Facebook profiles were harvested for political campaigning. 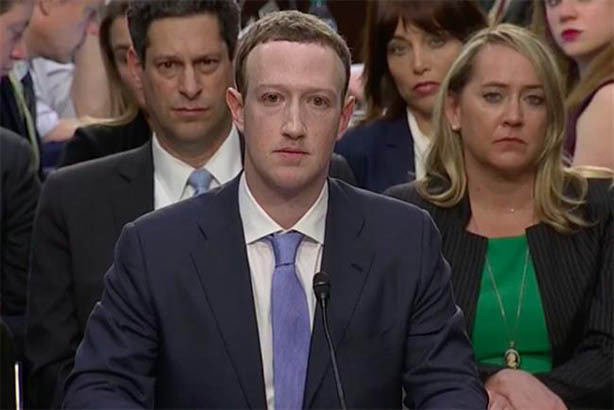 In the UK, senior MPs have recommended regulating Facebook with an independent body in order to protect users’ privacy. Last year the UK Information Commissioner said Facebook and tech companies had a "disturbing disregard" for user privacy. However, We Are Social's chief strategy officer Mobbie Nazir told Campaign she was not surprised by Facebook's pivot towards privacy because the agency has been seeing the rise of private messaging platforms "for some time now". Nazir said: "It’ll be interesting to see what the business model for the new 'private' Facebook will be. If they can’t gather implicit data then how will they monetise the platform? "Perhaps a consumer subscription model or more likely controlled brand access just as they recently announced with allowing brands to be part of Facebook groups. A move that allows the owners of these growing and increasingly popular groups to commercialise them in a managed and community-centric way."